As we prepare and train for our upcoming season, we want you to be a part of our team! 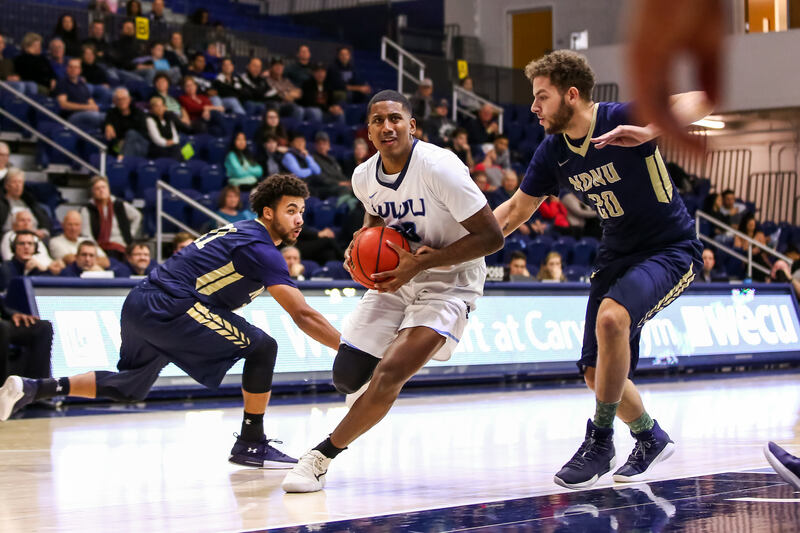 We invite you to invest in the WWU Men's Basketball program to help elevate the overall experience for our student-athletes, both on and off the court. Our goal this year is to raise $12,000 as a team. Your gifts will help make a difference in supporting us as we hope to enhance the experience we provide our student-athletes, and offer top notch equipment to better their skills overall. In addition your support will provide us with a superior amount of scholarship funding, travel funds, and allow us to heighten the level of competition we face throughout our season. As coach, I'm so proud of our team and all of our success. Your generosity continues to help take us to the next level. Thank you for showing your support to WWU Viking Men's Basketball. We would love for you to stay connected with us on Twitter, Facebook and Instagram. To meet our team and view our schedule, please click here. Your gift will help to provide new gear for our student-athletes and will include membership at the Fan Club level to the Viking Athletic Club. Your gift will enable you to receive membership in the Viking Pride level of the Viking Athletic Club. This includes invitations to exclusive WWU Pre-Game Events. Includes co-sponsored events with Alumni Association and Pre-Game events around select away matches. Your gift will provide travel opportunities to enable our program to compete against the highest level of competition in the country. Your gift will also include membership to the Viking Athletic Club at the All-Conference level which includes Hall of Fame room access for pre-game and half-time events and a VAC T-Shirt, (please indicate your t-shirt size in the notes portion of your giving page). Everything is included from the Coach's Club Level PLUS get 2 free tickets to Viking Night! Everything from the Hall of Fame level PLUS Honorary Coach for the Day (sport of choice). Gifts at this level will receive everything from the Hall of Fame level plus exclusive Viking Team Swag (sport of choice), dinner with the Athletic Director, coach and players (sport of choice) and get to have a team in our annual golf tournament! *Viking Night Tickets, Viking Team Swag, and Golf tournament participation will impact the tax deduction of your gift.